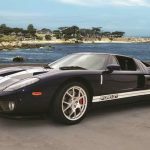 When the 16th annual Russo and Steele Monterey Collector Automobile Auction takes place this August, from the 18th through the 20th, attendees will be greeted by a very rare, pre-production Ford GT from 2004. 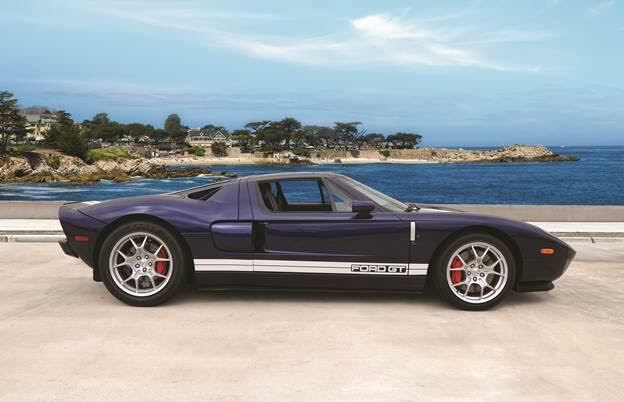 No, this Ford GT prototype – referred to as “PB2-1” – isn’t quite as rare a creature as the earlier CP-1 confirmation prototype that crossed the auction block at Barrett-Jackson’s Northeast event in June, but it’s still a unique piece of the 2005-’06 Ford GT’s history. 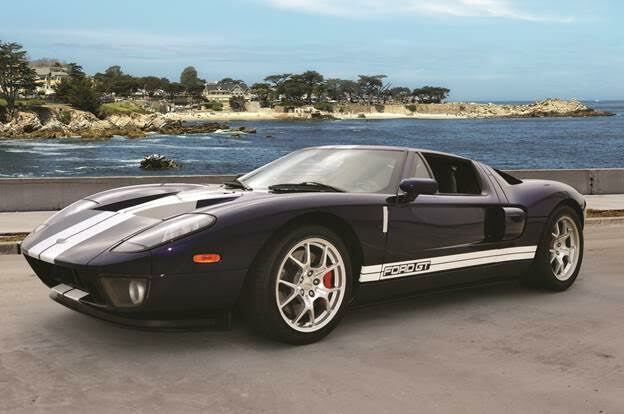 The “PB2” run was the last batch of pre-production Ford GT examples built before the car finally made its way to the public; PB2-1 was the first of that batch. 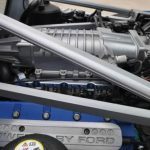 According to Russo and Steele, Ford GT PB2-1 is powered by the same 32-valve, 5.4-liter V8 and twin-screw supercharger as the production model, paired with the same 6-speed manual Ricardo transaxle. 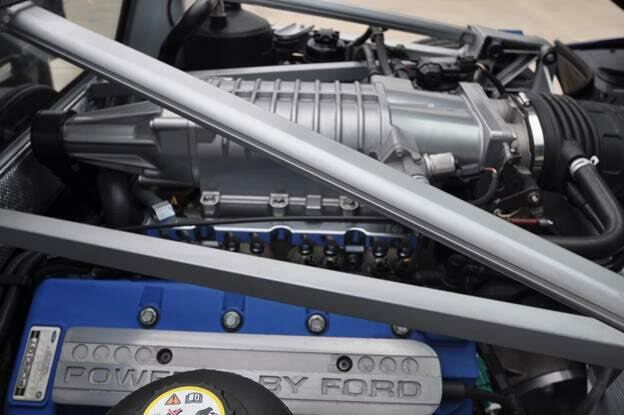 However, unlike the production cars, this one had a smaller supercharger pulley for increased boost pressure – a part which would later be offered by Ford Racing. It also had a roll bar installed, and although it’s since been removed, the attachment points remain intact. Sadly, like Ford GT CP-1, this pre-production model is not cleared for use on public roads; the prototype’s Consignor made an agreement upon purchase in 2008 which precludes him from using the vehicle on the street, and its next buyer would likely have to agree to the same stipulation. On the other hand, with its historical relevance, utter rarity, and the signatures of Carroll Shelby, Camillo Pardo, and other Ford GT team members worn proudly in the cabin, PB2-1 is an irreplaceable motoring relic that deserves a devoted caretaker. Currently, we can’t find this rare, pre-production supercar listed on the Russo and Steele website, but details ought to be made available there soon.